Redwerk’s high-quality app development process caught GoodFirms’ attention and recognized the firm for its capabilities, talent, and commitment. Thus, the agency earns a reputed position on the list of top mobile app development companies in Ukraine. Redwerk is an outstanding software and mobile app development company which has its roots in Kiev, Ukraine. Mr. Konstantin Klyagin founded the agency in 2005, and since then the firm is constantly achieving various milestones in its service domains. With a base of over 60+ employees, the agency has exultantly served 250+ projects. Redwerk offers services like web development, mobile app development, product development, software maintenance, testing, and other IT services. The agency portrays itself as a one-stop shop that offers high-quality custom software development solutions to its global clients. With hundreds of clients from America to Australia, Redwerk has rich experience of serving startups, innovator groups, eCommerce store owners, eGovernment, businesses from healthcare, and education division. Recently, after a meticulous analysis, GoodFirms places Redwerk among the top service providing company which thrills in developing amazing mobile apps. GoodFirms is a Washington DC-based research and review platform which takes immense efforts in evaluating the services of listed IT companies. This process involves various qualitative and quantitative factors which have three parameters – Quality, Reliability, and Ability. Redwerk believes that mobile apps help every businessperson to address a broad audience. Thus, its team takes advance efforts in delivering multi-functional mobile apps for both iOS and Android platforms. The agency is also a pioneer in developing hybrid and cross-platform apps. Not only this, the firm has a team of developers who are proficient in developing apps for smart wearables. To epitomize the firm’s innovative apps, GoodFirms has highlighted multiple app development projects of Redwerk including apps like School Observation App, Clean Agents in its portfolio section. Apart from this, the firm has achieved multiple reviews that loudly mention their venerate service quality at GoodFirms. The researchers at GoodFirms have thoroughly evaluated the services of Redwerk and issued a scorecard for the firm’s achievements. The researchers at GoodFirms declare Redwerk a well-performing player of the industry via analyzing the app development services of Redwerk, raving reviews, and praiseworthy scorecard. 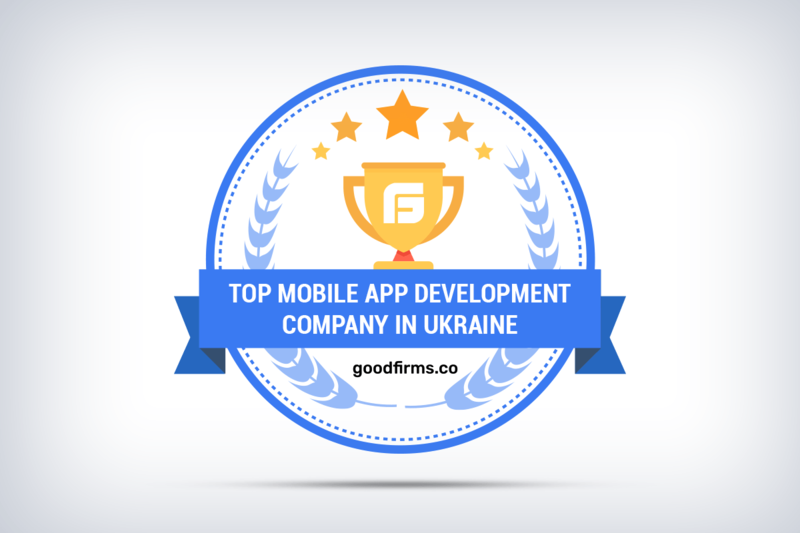 As a result, it posts Redwerk among the top mobile app development companies in Ukraine at GoodFirms. Redwerk is known as a top-class web development agency for creating highly functional websites. They have exalted to this position by developing sites for multiple industries. Their years of experience always furnish a new vision for every web project they work on, and thus, the clients are highly satisfied with Redwerk’s services. Redwerk web developers are master in developing frontend and backend web solutions by using technologies like HTML, Java, .Net, Python, and CSS tools. Moreover, the team also helps the clients with SaaS development and ensures to deliver a responsive interface. Redwerk’s such commendable web services and exemplary scorecard set the firm at par with other competitors of the web industry. Thus, Redwerk is likely to bloom on the category of top web developers at GoodFirms. The web designers of the firm are highly skilled and innovative in designing multiple web pages of the site. The designers extensively understand the client’s businesses and its target markets before designing the website to ensure that the websites pull the right audience. The agency undeviatingly perfects in the art of UI and UX designing along with using multiple designing tools. Such practices add an added advantage to clients’ sites and facilitate differentiating with other competitors. After scrutinizing the web designing services of Redwerk GoodFirms believes that in no time the team will position itself as best web designers of the globe. Washington, D.C. based GoodFirms is a maverick B2B research and reviews firm that aligns its efforts in finding the top App Development and Web app development companies delivering unparalleled SEO, Advertising and PPC services to its clients. GoodFirms’ extensive research process ranks the companies, boosts their online reputation and helps service seekers pick the right technology partner that meets their business needs.